The clients brief was to “let your imagination run’ (without a given ceiling on budget) and to get a valuable planning consent. 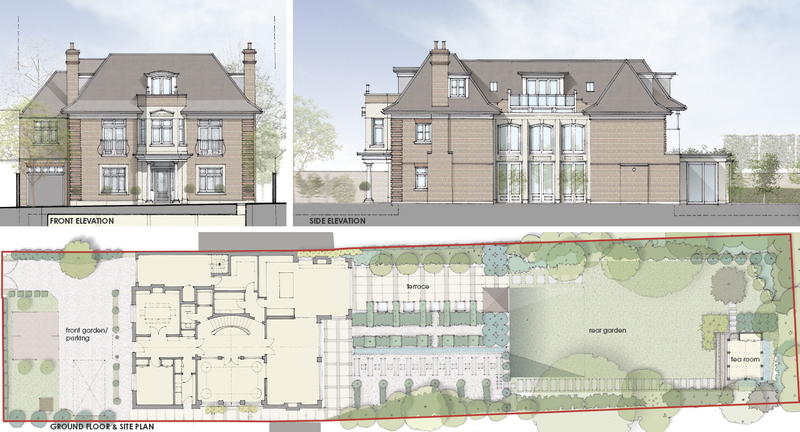 As an aspiration for a private family house circa 8,000sqft this fell outside normal developer constraints. 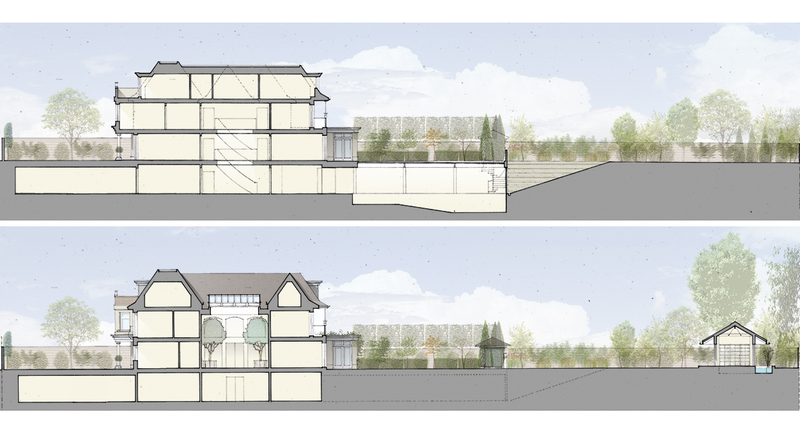 Consent was gained for demolition of the existing house and replacement with a new build that heavily referenced the materials and period detailing of adjacent large detached houses, Accommodation was maximised across all levels. The basement (with vintage car collection to be housed in a regulated showroom environment below the frontage court) and three upper floors provided extensive accommodation for the family plus generous entertaining, office, housekeeping and staff quarters. Additionally at basement level leisure facilities included a pool that extended out under the external garden terrace and lit by an axial shallow water feature rooflight. 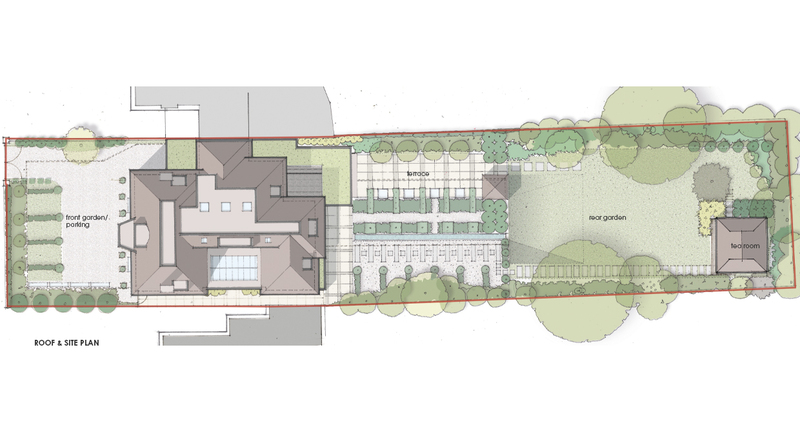 The house was designed to incorporate PassivHaus principles and built form complemented by asite wide landscaping scheme including formal lawns and wider natural planting and hard landscape. A Japanese tea room with an intimate enclosure of bamboo and cherry trees around a mini-haha lily pond to the rear of the garden completed the setting.